I’m finally getting this post up on the cusp of a new year. In this post, I discuss the foundations of my non-existent Star Trek campaign. First things first – My Trek is all about me. What I like, what I enjoy. It’s not a matter of opinion – of what is objectively good or bad or right or wrong. It’s just about what I like in my Star Trek. The point – you don’t need to argue with me here. Arguing with make what I’m writing way more important than it is or deserves to be. So – what is My Trek – what elements shall make up my little campaign? If it is in Star Trek, it is in my campaign. Star Trek is the basis of the whole campaign, but it’s not the entirety of the campaign, and in fact, some of it is not technically in the campaign. My campaign would start in 2265, as Kirk and crew are blasting off for adventure. Heck, the PCs might even beat them to a few adventures in my campaign. Since the animated adventures shared many key people with Star Trek – and since they’re fun and I love them (and wouldn’t think of running Trek without the Skorr and a 20-ft tall Spock), they’re in My Trek. Although there isn’t much material in the planned sequel series to Star Trek that one could use, especially since it would all take place 7 or so years after My Trek starts, the Klingon material from The Kitumba is all valid for my purposes. I just love this web series, so I treat it as mostly official in my campaign. I’ll put a few of these asides into the My Trek posts. The Klingons in My Trek are the Klingons in Star Trek – sans bumpy foreheads and maybe with a little more individual personality than the later honor-and-war-is-all-we-know Klingons (not including Kheylar from Next Generation, who was fabulous). The Klingons live in a military dictatorship, with ten subject planets under their control. In one of James Blish’s novelizations of Star Trek, he notes that the Klingons are descended from Asian peoples – maybe dropped on their home planet, Ultar, as the Native Americans were dropped on Epsilon Beta. So that’s the stuff that is definitely in the campaign, but there are other sources as well. Two key sources are James Blish’s novelizations of Star Trek episodes, and Alan Dean Foster’s novelizations of animated Star Trek episodes. They often add in little details and bits of color that I like. I also like the Spaceflight Chronology – with some work done on the timespan it covers – some other early Trek books like the Federation Reference Series, Star Fleet Technical Manual and U.S.S. Enterprise Officer’s Manual, and even some of the FASA material. These are mostly used for gathering little details, like some names of Klingon D-7 battlecruisers, rather than as key pieces of the puzzle. Again – my campaign starts when Star Trek starts, so PCs could create their own legends alongside Kirk and crew. Outside of these sources, not much enters into my campaign. Just as old school gamers explored the early days of Dungeons & Dragons before so much new material was added to it in the 1980s and afterward, I like the idea of getting to know Star Trek before the Next Generation/DS9/Voyager/etc. rewrote substantial parts of it. This isn’t about not liking the later series, but rather treating them like the pastiches of Conan written by folks other than Robert E. Howard. I want to get to know what the show’s original creators and fans saw in Star Trek. 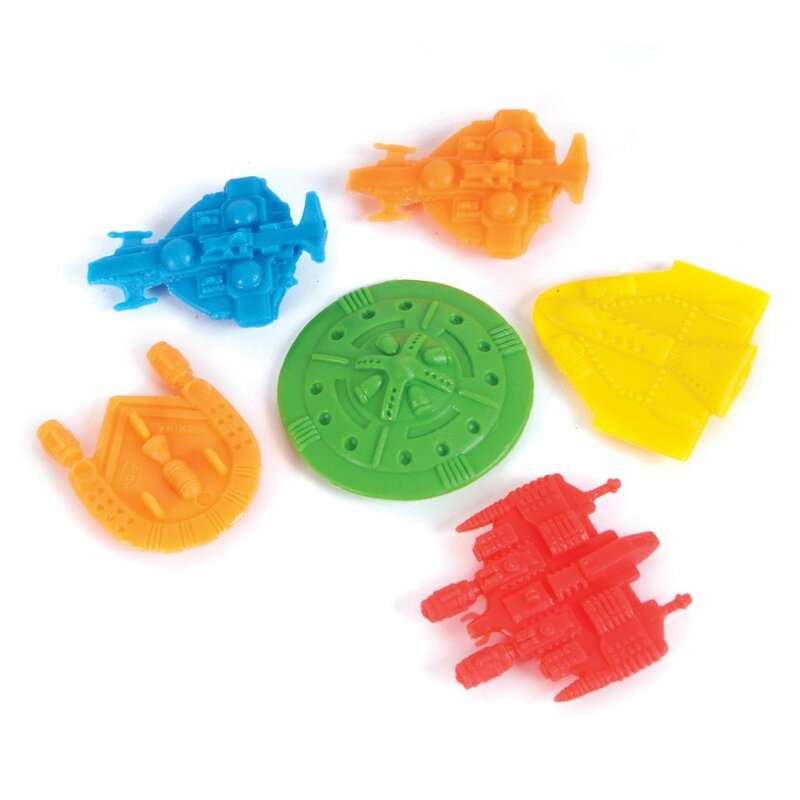 I thought Deep Space Nine was okay – didn’t love it, didn’t hate it – until they got into the Dominion War stuff. I just didn’t give a rip about grandiose story lines about fictional people and places. I was reading about the making of the show recently, and came across the idea that the main bad guys in the show were originally going to be the Romulans, rather than Cardassians. That got me thinking about a 60’s era Deep Space Nine, with the Romulans as the antagonists and the Orions replacing the Ferengi as the mercantilists. It might be a location to use in my campaign – Deep Space Station K-9, near the Romulan Neutral Zone. The key thing about My Trek is the overall vibe and ambiance. The campaign is very 1960’s in terms of its design aesthetic and “New Frontier” exuberance. It’s about hope, promise, adventure and exploration, of an alliance of free worlds trying to find new friends in the cosmos while dealing not only with the aggressive Klingons and the xenophobic Romulans, but also their own tortured past – overcoming the unknown as well as the less attractive aspects of what it means to be human. Some of the FASA Star Trek material is really useful, in terms of the starships and what they can do. One thing that struck me, though, was the number of space ships they imagined being built by the different entities. Hundreds and thousands of the things! I prefer to make spaceships a little less numerous, for a couple reasons. First, there is some reason from Star Trek to believe that the Federation’s resources are not unlimited. According to Kirk, there are 12 Constitution-class (or Starship-class) vessels active. Franz Joseph’s lists of other vessels lean towards more limited runs of vessels as well. There’s also a dramatic reason to limit the number of ships. If there are only a few big bad starships defending the Federation, losing one really means something. I like that. When devising how many vessels these various space fleets include, I’ve actually used the size of Earth navies in 1965 as a guide. Works great! With the “Star Trek feel” in mind, there are some non-Trek works that I think work within the overall scheme. The 1959 TV series Men Into Space, for example, has a very similar feel to Star Trek in terms of its emphasis on exploration, engineering and science. If you haven’t seen it, I urge you to give it a shot. So that’s My Trek. It’s about exploration and overcoming our own personal demons and it’s about having fun. It’s colorful and lively – no Beige Trek, no Lecture Trek. Up next, I’ll talk a bit about the supplemental rules and guidelines I have devised for the My Trek campaign to cover promotions and spaceship battles. A couple months ago, I was nearing burnout in terms of writing and publishing game materials – and I didn’t even know it. I was working at my normal pace, and although there were a few indications I was hitting the wall, I was still getting things done. When I started goofing around with Star Trek, though, I was soon to diagnose my coming burnout. It started with my daughter wanting to watch all the Star Trek that had been made in the order in which it was set (more or less). She started with Enterprise, which I watched with her (still frustrated at the close-but-no-cigar aspect of the show), and then we watched Star Trek. Yeah – I just call it Star Trek, because that’s what it is. When you’re the “original series”, you don’t need an amendment to your title. We followed up with the animated Star Trek, the Star Trek Continues (because I like it and think it was worthy of inclusion), then the movies and now on to Next Generation – we’re on season 3 I think. In the midst of this, I started getting the Star Trek bug, and found a copy of the first Star Trek RPG, which I reviewed on this blog a while back. This got me to designing a Star Trek campaign (hence, My Trek) that I knew I would probably never play, but wanted to do anyways. And here’s where I discovered my potential burnout. I started having so much fun goofing around with Trek, that I just plain stopped working on my writing. I have an issue of NOD that is written, edited and ready to go … and I’ve just let it sit there for a couple weeks. I could publish it today … but I don’t think I feel like it. The writing and publishing, as much as I enjoyed it, was becoming work, and so messing with Star Trek became not just a vacation, but really more like playing hooky. When writing game materials for myself feels like playing hooky for writing game materials for others, you know you’re heading for burnout. To avoid that burnout, I’ve indulged myself with good old Star Trek. I followed up my Star Trek RPG purchase (and I do love that little game dearly) with an old Star Fleet Battles rulebook (which I found overly complicated – so I wrote my own version, which will appear in future posts), and then the Spaceflight Chronology, Star Trek Concordance, the book about Star Trek Phase II and a bunch of the novelizations of the animated series (though if I’m honest, I prefer Blish’s novelizations of the old episodes to Alan Dean Foster’s animated episode novelizations). I have created massive databases of star systems and starships for my probably never-to-be-played campaign, created my own map of the Star Trek universe, made a nice little time line graphic of Starfleet, Klingon and Romulan vessels (at least, the one’s I think are cool) and have written a handy little campaign guide for prospective players. The lesson here: Watch for a burnout (of any kind), and deal with it before you suffer it. That way, you don’t lose a thing you really love and value, plus maybe you pick up a new thing to enjoy along the way. That next issue of NOD will be published, and next year I’ll do my Deities book and maybe my Nodian Cosmos book and some issues of Nod, and I’ll do them because I gave myself a well-deserved break. Next Week on My Trek: I’ll discuss some challenges and solutions to turning Trek into a playable campaign – specifically how you deal with tons of material that contradicts and conflicts (and, honestly, just doesn’t always fit into the same milieu despite being called Star Trek). Playing around on the Internet Archive recently, I came upon some old issues of Different Worlds magazine. This was a magazine I was unaware of in my youth, and I’ve enjoyed looking at another take on the RPG world in its infancy. One article in particular, “Kirk on Karit 2” by Emmet F. Milestone in issue No. 4 (1979) brought to my attention the first licensed Star Trek RPG, Star Trek – Adventure Gaming in the Final Frontier. I did a little hunting, and found a copy for sale, and I’m glad I did. 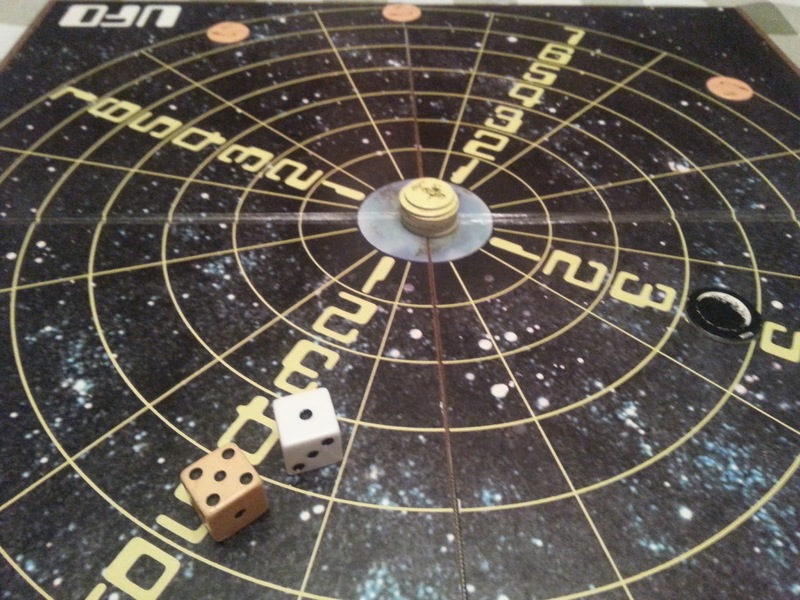 Written by Michael Scott in 1978 for Heritage Models to support their range of Star Trek miniatures, Star Trek (which is what I’ll call it from now on in this review to save time and space) is a dandy little game – very old school, very rules lite. In fact, some folks seem to think it a little too rules lite, but not me. I love discovering these little games from the hobby’s origins, because they remind you just how much you can do with a very light rules set. The game is very focused on its mission, which is to simulate Star Trek landing parties – I think it does this pretty well. In fact, you could spin this thing into doing Star Trek dungeon crawls with very little trouble. Being written in 1978, it is all original Trek, including the animated series, which I really dig. This means you get stats for creatures like the K’zin and Skorr. The rules are really simple – in the basic and advanced versions – and meld pretty well with old school D&D. The six ability scores are Strength, Dexterity, Constitution, Charisma, Luck and Mentality. Not too difficult to track those to D&D. Ability scores range from 3 to 18 (3d6). Characters get a modifier that is positive for every point a score is above 12 and a negative for every point a score is below 9. They also have a hand-to-hand combat value and equipment. In th basic game, you play one of the characters from actual Star Trek – Kirk, Spock, McCoy, etc. In the advanced game you can roll up a character yourself. Combat is simple – roll 1d6 to attack, adding strength, dexterity and hand-to-hand bonus to determine total potential damage while the defender subtracts 1d6 plus luck and hand-to-hand modifiers. The resulting damage, if there is any left, is deducted from the defender’s constitution score. If damage equals more than half of the character’s remaining constitution, they are knocked out. Ranged combat is a little different, but just as simple – you have to roll below a number based on your dexterity score, with modifiers for a few common situations. Damage is based on the ranged weapon used. The advanced game has more hand-to-hand weapons, which involve rolling more d6’s for the attack, and armor to reduce damage suffered. Skill checks are a roll of 3d6 which must be less than or equal to whatever ability score makes the most sense. If Spock is trying to use his tri-corder to pick up signs of life, he makes a roll against his Mentality. Easy … but I would personally change it to a d20 roll rather than 3d6. Psionic powers work basically the same way – roll under Mentality. There is no experience point or leveling system in the game, but the author mentions that as characters succeed in adventures their hand-to-hand rating can improve or they can get bonuses to certain tasks. I like the idea of advancement being kind of arbitrary, though you would need a good Mission Master to keep things from getting out of hand. The game has stats for all sorts of Star Trek monsters – again, a Trek dungeon would probably be lots of fun. Given that Kirk and Spock had to deal with ancient Rome, the Roaring ’20s and the Old West, a dungeon crawl would not be too outrageous … and nicknaming the hirelings “red shirts” would be entirely appropriate. MM: The room contains four Klingon warriors – roll for initiative! I really grok how simple this game is – you can pick it up and get going within minutes if you have players who understand the basics of role playing games and Star Trek. I especially love that it instantly lit a fire in me to play it and play with it – why not work up quick stats for Doctor Who characters and creatures, or Star Wars or Next Generation or whatever – it would be so easy! If you get a chance, check it out. Expect simplicity, “rulings not rules” and lots of thinking on your feet, but also a game that you can get up and running quickly. Also – check out that article I mentioned above – Emmet F. Milestone came up with a dandy little scheme for characters falling in love with one another – a must if Kirk is in your boarding party, though as Emmet often remarks, “Kirk has no luck in love, so his Luck modifier is never added in a Romance Roll”. I instantly want to use this in my next D&D dungeon crawl. I love lo-tech aliens. I don’t mean aliens who wield sticks and stones, but rather aliens from old TV shows and movies who look goofy (or often look goofy). I love the creative work done by make-up artists and folks working with rubber and shiny polyester on these creatures. I’ve always appreciated old time special effects with technological limitations – nothing has taken the magic out of sci-fi and fantasy for me more than computer graphics. I used to wonder how they did it … now I know, and I wonder why with the ability to do virtually anything, they did what they did. But let’s get back to those old sci-fi aliens – here’s a little chart of aliens I have known (or “watched” would be more appropriate). I’ll include a link to download it below. This could be used for rolling random alien encounters in a gonzo fantasy game, or just for inspiration when doing your own thing. Oh – and those aliens from a galaxy far, far away who are too stuck up to come visit the Milky Way Galaxy – I left them out. Enjoy! 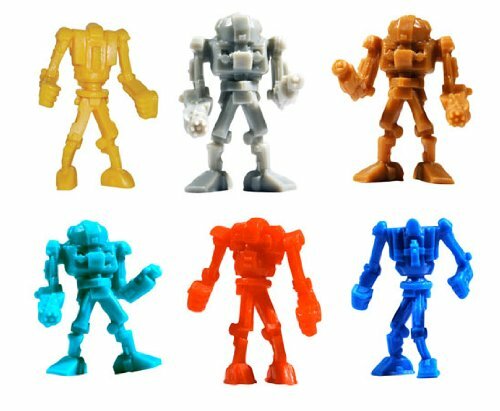 When evil threatens from the Galactic Core, the planets of the outer rim call out for … the Manbot Warriors! Manbot Warriors was a Saturday morning cartoon that never existed, but could have in the late 1970’s or early 1980’s. It would concern a band of warriors, human minds encased in robot bodies, defending the outer rim of peaceful planets from the evils of the Galactic Core. Each episode might entail some crisis that the Manbot Brigade would respond to, from hijackings of pleasure spaceships, to the heist of the First Cosmic Bank, to a threat of planetary invasion. Psionic acts that are passive (mind reading, for example) are rolled on only 2 dice (2D). Psionic acts that actively impact the real world or a creature’s mind (such as telekinesis or controlling a person’s actions) are rolled on 3 dice (3D). Psionic attacks that deal damage are rolled on 4 dice (4D). A monster’s threat level is calculated using the following formula: Add FOR + Fighting or Psionics (whichever is higher) + 1 per offensive or defensive kit and special ability. A value of 0 to 9 being a Level I monster, 10 to 13 a Level II monster, 14 to 17 a Level III monster, 18 to 20 a Level IV monster and 21 or higher a Level V monster. As long-time readers know, I like to keep my reviews at the Land of Nod timely and relevant, which is why today I’m reviewing a game made in 1976 by Avalon Hill. Once upon a time (because anything that begins with that phrase has to be timely and relevant), when I must have been in elementary school or thereabouts, I was digging through a closet and came across a box that apparently held a game. 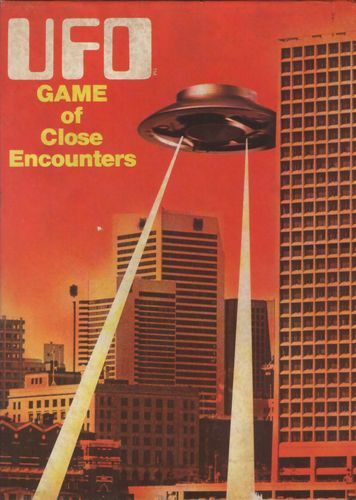 The title – UFO: Game of Close Encounters. These were the days of Star Wars, but they weren’t the days of VCR’s / DVD’s / Netflix / YouTube / watch anything you want when you want no matter what. These were the days when the Charlie Brown Christmas Special was on TV once a year, and if you missed it, you missed it. Star Wars was a phenomenon, and since it was in short supply, anything sci-fi was doing pretty well. I didn’t know much about this UFO game, but it looked like it was at least in Star Wars‘ neighborhood, so I was intrigued. “What’s this,” asks my daughter, rummaging through the closet in my office. And I realize it’s time to end the cycle. UFO must be played. I get the game out and check Board Game Geek to see what I’m missing. Apparently, I only managed to lose 2 counters in all the years I messed with the game as a kid. Not too bad, and not really an obstacle to playing the basic version of the game. The victory conditions in the basic game are pretty simple – the invading UFO player wins by landing five saucers on Earth. The Earth player wins by destroying enough saucers that the UFO player cannot win. So, them’s the rules. How did the game go? Pretty fun, actually. The strictures on movement make you think a bit, and the potential for hyperspace makes it tough for the Earth player to cover all his bases. Ultimately, you want to control those orbital paths towards the Earth, but it’s not as easy as you think, because if you just sit there, eventually the UFO player is going to destroy your rocket or hyperspace in behind you. In the game my daughter and I played, it came right down to the wire – four saucers landed on Earth, one saucer left needing a “1” to land. I got the lucky roll the dice and destroyed the fifth saucer. Earth was saved. All humanity rejoiced. The advanced game involves space stations and false signals on radar, and we’ll tackle it at some point. The game was pretty fun, actually. Didn’t take long, and didn’t drain the brain, so a nice way to spend a half an hour or so. Afterwards, we played LIFE (the old version with Art Linkletter on the money, of course), and my daughter cleaned my clock. The universe (or should that be Universe) is going to die someday. Well, maybe – I’m no physicist – I don’t even play one on TV. 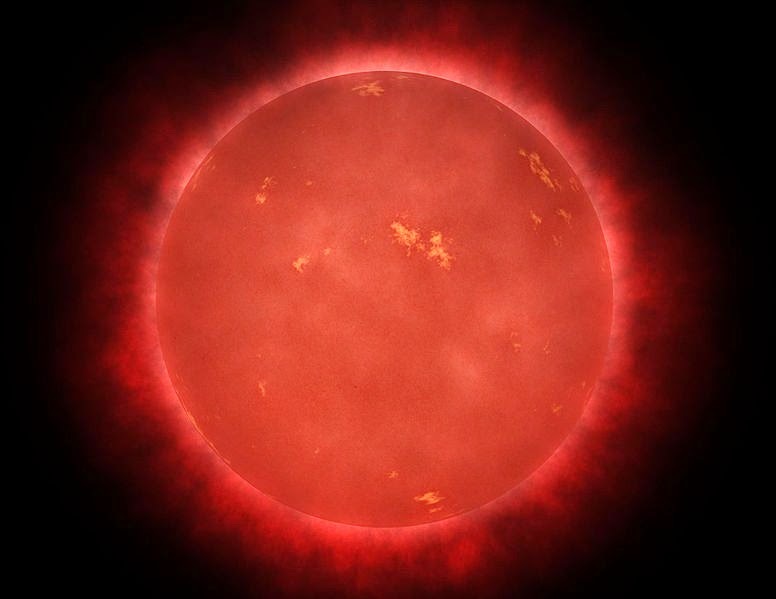 But let’s assume that all the stars in the sky will someday cool or collapse, and leave a universe very short on energy. All the star empires and rogue traders will be left to scavenge what they can from self-sufficient star bases and colonies, plundering once fertile planets that are now cold and almost lifeless, etc. In other words – Star Apocalypse. The idea here is to combine the two gaming genres of Traveler-style sci-fi and Gamma World-style post-apocalyptic gaming. The main point would not be the gathering of power, but of just keeping ahead of the cold, entropic embrace of Death. Every alien species and human star empire and god-like superbeing in the universe is dying, and the players are just trying to outlast them. The best rules for such a campaign would probably sci-fi rules modified to allow for scarcity and the idea that the best and brightest are gone and those who remain maybe do not understand the technology they use quite as well as they should. Where would the adventures take place? Isolated colonies (under glass domes, of course) and star bases eager for trade, but wary of strangers (think in terms of isolated towns in Westerns), ruins of ancient civilizations, and drifting hulks (as in spaceships) in deep space. The play would often be dungeon-style – exploring a physical space and battling monsters and traps, but the drivers would be the need for supplies – energy, fuel, food and water, replacement parts for the spaceship. Of course, there could also be a meta-driver – the belief that some super-scientist somewhere built a portal that allows one to leave the dying universe for a parallel universe that remains young and vital. This Shangri-la could be the overall focus of the campaign – something akin to Battlestar Galactica‘s plot of a caravan of spaceships seeking Earth. Just a thought – and probably not an original one at that.